Nami Island was formed as a result of the construction of Cheongpyeong Dam. It is a half moon shaped isle, and on it, is the grave of General Nami, who led a great victory against the rebels in the 13th year of the 7th king of the Joseon Dynasty, King Sejo (reign 1455~1468 ). 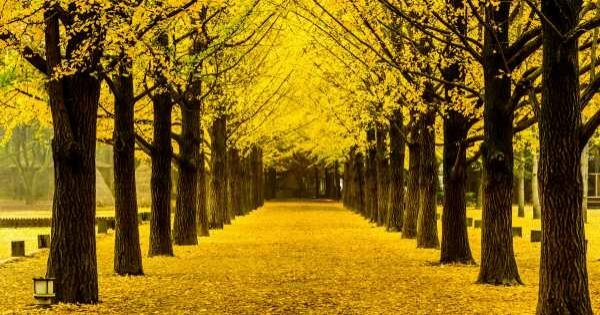 Nami Island is 63km away from Seoul in the direction of Chuncheon, famous for beautiful tree lined roads. The island is 30 minutes away from Chuncheon and an hour away from the suburbs of Seoul. Since it is not far from Seoul, many couples and families come to visit. The itinerary for the day starts from Seoul at 08.00 with pick up service for Downtown Seoul Only for a minimum of 2 people.After pick up, we travel to Nami Island where we explore, walk and enjoy. Lunch is next and then we spend time in Petit France, a French styled theme park. At the end of the tour, you are dropped back to your hotel in Downtown Seoul at approximately 17.00. This tour is available Monday to Sunday. Nami Island offers a stunning scenery with chestnut, verdant and mulberry trees and big grassy fields where ducks, chipmunks, squirrels and peacocks welcome visitors.